The CHIP Reverse Mortgage® (once called The Canadian Home Income Plan) is 100% Canadian, provided by HomeEquity Bank, a Federally regulated, Schedule 1 Canadian Bank. It was founded in 1986 and has since been serving Canadians for over 30 years. HomeEquity Bank understands the needs of Canadians age 55 and over. With a conservative approach to our lending practices, HomeEquity Bank provides Canadians with the security and high regulatory standards that come with being a Canadian bank. The CHIP Program is designed for Canadian homeowners age 55 years and older who want to live retirement on their terms. If you’re like most Canadian homeowners 55+, much of what you own fits into two categories – the equity in your home and the money you have saved. It is likely that the value of your home has grown over the years and makes up a large portion of your net worth. And while it is positive that your home has built value – this value is not accessible unless you decide to sell your home. The CHIP Program allows you to access up to 55% of its value without having to sell your beloved home. And best off all, you don’t have to make regular mortgage payments until you eventually move or sell. 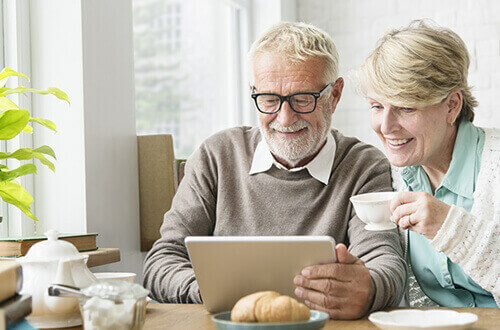 Additionally, the money you borrow is tax-free and it does not affect the Old-Age Security or Guaranteed Income Supplement (GIS) benefits you may be getting. As the homeowner, you are required to maintain your home and remain current on property taxes and homeowners insurance. To recap, the CHIP Plan is suitable for people who don’t want to move but would like to improve their monthly cash flow. With the CHIP Mortgage you always remain on title and retain ownership and control of your home. How can you use the CHIP Program? In general, the older you are and the more equity you have in your home when you apply for the CHIP Plan, the more money we should be able to lend you. You are not required to make any payments on a CHIP Plan until you choose to move or sell your home. You are however, required to ensure that your property taxes and homeowners insurance are kept up to date. When you do decide to move or sell, the loan is repaid from the proceeds of the sale of the home. After the loan is repaid, all remaining money belongs to you and your estate. On average, CHIP customers have over 50% of the value of their home left to enjoy after repaying the loan. The exact amount will depend upon several factors, including: the value of your home, the amount of your loan, and the amount of time that has passed since you took out the loan. What Are the Pros and Cons of the CHIP Program? You receive the reverse mortgage funds as tax-free cash and you can spend the money anyway you like! You stay in the home you love and maintain ownership and control of your home. All you must do is maintain your property and pay your property taxes and homeowners insurance. There are no monthly mortgage payments required until you decide to move or sell your home. The CHIP Program is a non-recourse loan which means that at the time of repayment, you (or your estate) will never owe more than the fair market value of your home – as long as you have maintained your property taxes and insurance. It is your choice how you receive the funds from the CHIP Plan. You can receive it all at once in a lump sum or in scheduled advances over time – its up to you! Because there are no monthly mortgage payments required, interest rates for the CHIP Plan tend to be higher than that of a traditional mortgage option.